Foam suppressant quickly defoams spray solutions containing nonionic surfactants, silicone surfactants or crop oil concentrates. Use 1-4 ounces per 100/gallons of solution. 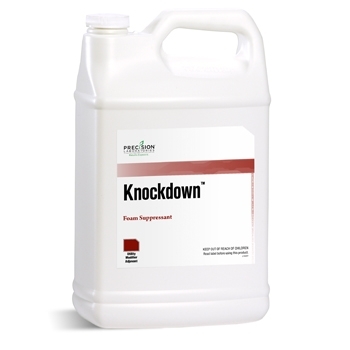 Add entire volume of Knockdown needed for load when tank is 1/4 full. Use 2-4 ounces per 100/gallons of solution. Add to spray solution at point of greatest agitation.